After our visit to Taal Volcano, we drove all the way to the heritage town of Taal, Batangas via STAR Expressway to visit the grand old houses and other heritage structures there. I've been to Taal many times before. But the town never fails to fascinate me. In fact, we're in the process of stakeholder consultations to determine if the town wants to push for inscription in the UNESCO World Heritage List. Unfortunately, it is not yet in the tentative list. But the Taal Volcano Protected Landscape is. To make a stronger case for UNESCO inscription, countries usually cluster sites and structures into a single inscription that together, tell a compelling story with universal value to humanity. One idea would be to expand the Taal Volcano listing from a natural site into a cultural landscape, to include the underwater ruins in Taal Lake and the town of Taal. Together, these sites tell a story of resilience amidst volcanic eruptions and how communities rise after every eruption of the volcano. 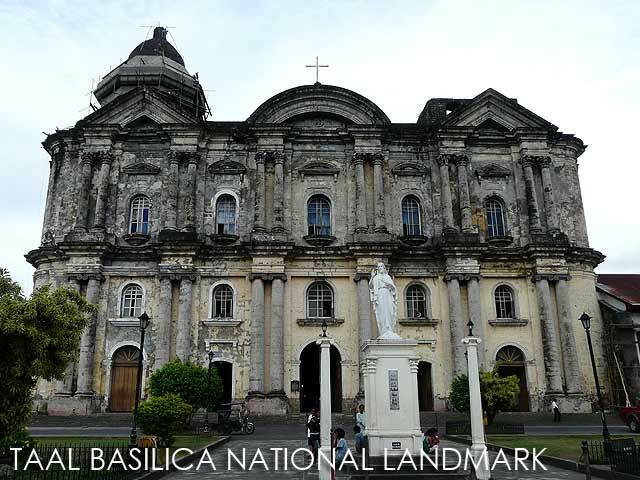 For this trip, we got to visit to visit the Taal Basilica National Landmark and Agoncillo House, as well as the Villavicencio Houses. As always, I stopped by the Taal Market to buy piña cloth for my barongs. 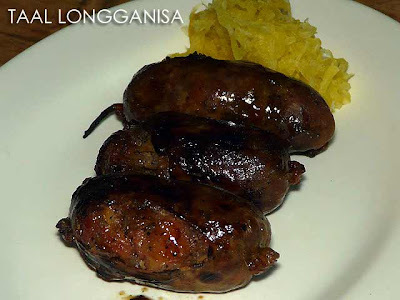 It's a good thing new restaurants have opened offering several local dishes of Taal. We had Taal Longganisa and Taal Tapa among many others at Don Juan BBQ which is right beside the Taal Market. 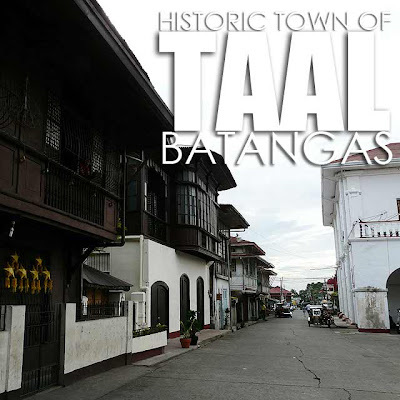 There are several tour options in Taal. 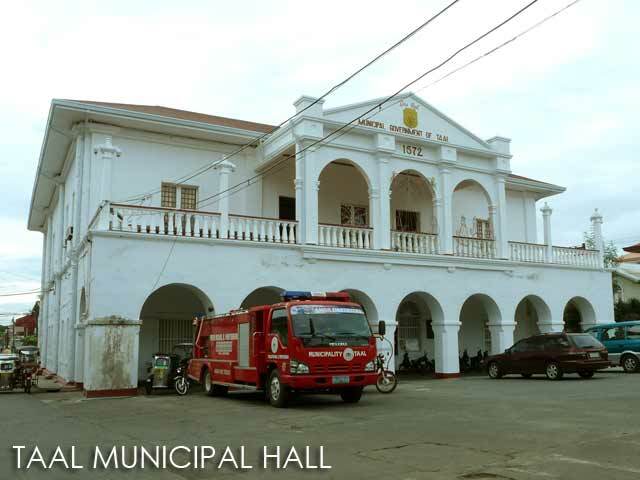 you can contact Heritage Tours and Travel through Bennet (0918) 3155634 for a guided tour of the heritage town. There are half and whole day packages with meals (see their site at heritours.multiply.com). You can also visit Villa Tortuga for a different kind of tour experience. It includes lunch at the old house complete with colonial-period costumes for you to wear while dining. Contact Lito Perez of Camp Suki at (02) 7250819 or (0917) 8246900 for reservations. Baby Joven-Quiblat and Benny Quiblat have rooms available for visitors. You can reach Baby at (0917) 8970363 for rates and avalability. Robert Arambulo, a balikbayan architect from Sta. 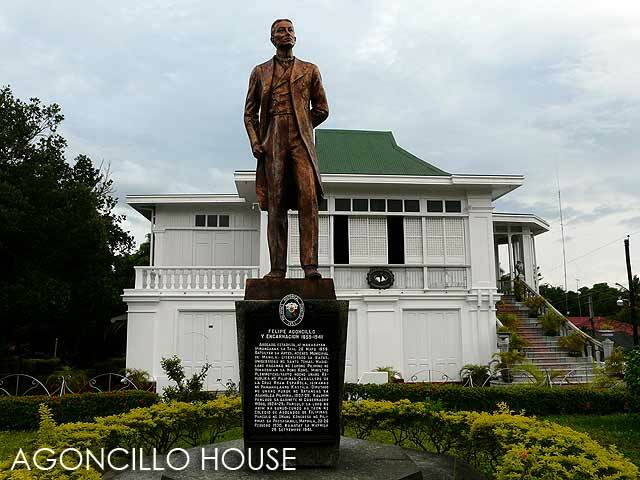 Rosa, Laguna, also has rooms available in his restored Taal house called Casa Severina. Contact him at (0917) 5018060. Casa Cecilia has eight bedrooms and a restaurant that serves great tasting Taal cuisine. Specialties are bulalo (with a twist) and their maliputo. Contact numbers are (043) 4080048 or (0906) 2225339. Nice to know that you have visited our place. Hope you enjoy the Tapa and Longanisa. My parents sells Tapa and Longanisa in the market. i tried to call the contact numbers of Casa Punzalan many times but i thought there's something wrong with those lines..i can't be able to connect..our company is planning to have our Heritage Tour on the 2nd or 3rd week of May in Taal, Batangas and one of our friend suggested this place where we can stay in overnight..